The Pictus Catfish is an unmistakable fish and is hugely popular amongst hobby fish keepers. Its popping colors and energetic personality all make for delightful characteristics. Whilst it can be challenging for novice keepers to keep healthy, its unique characteristics makes the challenge worthwhile. In our complete care guide to the Pictus Catfish we will cover everything you need to know including: its size, care guide, ideal tank mates and conditions, dietary requirements and much more. First let’s look at a brief overview of the species before we go into more detail. Exclusive Freebie: The Pictus Catfish eBook. 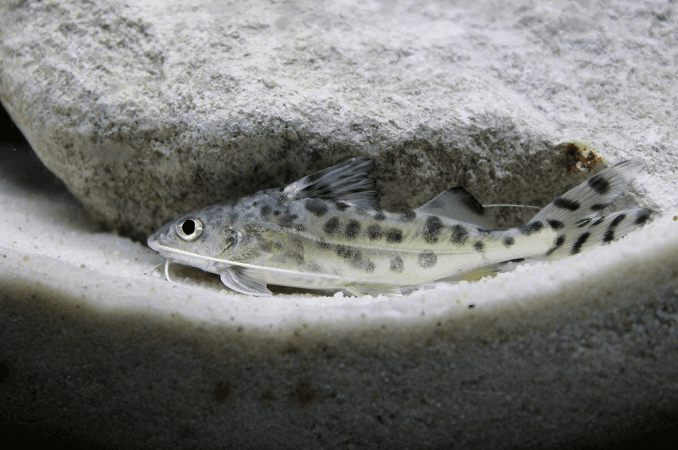 A complete guide to caring for the Pictus Catfish including diet and tank mates. The Pictus Catfish (Pimelodus Pictus) also known as Pictus Cat and Angel Cat, is a member of the Pimelodidae family. It is one of the most popular catfish within the aquarium trade and can be a standout in any tank. It was first described by Franz Steindachner an Austrian zoologist in 1876 and was found in the warm rivers throughout South America. They have an unmistakable white body highlighted with black spots and huge barbels which reach all the way down to their caudal fin. You will notice it is a very active and fast fish and does well in larger aquariums (100+ gallon tanks). As a word of caution, it should be noted that their pectoral fins are extremely sharp, so when transporting you need to be very careful. Don’t use a regular fish net as they will get their fins stuck and this can cause significant damage. Instead you should use a plastic container. This catfish is silver colored with lots of black spots. It has transparent fins and white barbels. Its body is long and slender and in captivity it will generally grow to 5 inches in length. One of the most distinguishing features of the Pictus Catfish is its ‘whiskers’. They are actually called barbels and all catfish have them. These barbels can reach all the way down to the caudal fin. In the wild catfish use their barbels to help navigate in muddy waters. They are also known for having sharp spines and fins which have been known to damage other fish. Similar to most Catfish the Pictus also has a forked tail, and a large, downturned mouth. The differences between male and female are incredibly slight, with females being slightly larger and rounder when they reach sexual maturity. Finally, they are often confused with Angelicus Catfish. Angelicus Catfish are in fact a separate species of upside-down catfish and tend to have much shorter barbels. As always, we recommend your aquarium should as closely as possible match the natural conditions of your species. Pictus are found in the warm rivers and streams of South America; generally in sandy riverbeds. So to start with you should use a sandy substrate. You should also try to emulate the flow of river water, so use a good quality hang-on-back filter. This will be able to create an adequate amount of current to keep your Catfish healthy. The filtration system is crucially important with Pictus Catfish because they create a lot of waste. So a healthy amount of filtration helps keep water parameters stable as they are extremely sensitive towards nitrates. Next up is plants and ornaments. As Pictus Catfish are found in dense rivers throughout the South America forests, you should include lots of hiding places for them such as driftwood, river rocks and caves. In addition it will also need large open spaces to swim and exercise in. As this Catfish is primarily nocturnal, its’ tank should be dimly lit. 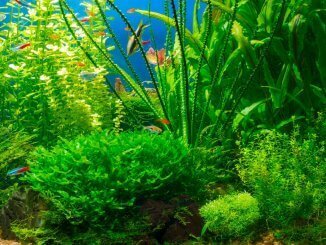 In addition because of their low light requirements you can include live plants such as Hornwort and Java Moss. In the wild you will find Pictus Catfish in shoals so bear this in mind when planning your aquarium. If you plan to keep a shoal you should have at least a 150 gallon tank; this will support 3-4 Pictus Catfish. If you’re planning to keep a single specimen then a 55 gallon tank is the minimum size required. Ultimately though they are an active swimmer so the more space they have the healthier and happier they will be. 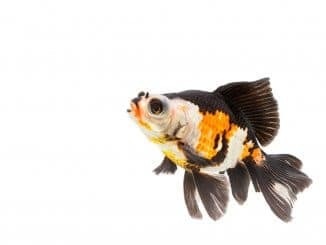 As they are a scale-less fish, they are more vulnerable to common aquarium diseases, so you need to pay strict attention to the water parameters. As for water temperature, you should keep the water between 75-81°F, and the pH should be between 7.0 to 7.5. You will find in the wild that Pictus Catfish are scavengers and will eat pretty much anything that they can find. By nature they are omnivorous, so they will eat both meat and plant matter. In the warm waters of South America they will be found eating insects (dragonfly larvae), snails, small fish and algae. This makes keeping and feeding Catfish very easy. They will consume pretty much everything you put into the aquarium. They will also spend some periods of time foraging in the substrate of your aquarium, so you can leave any algae growing because your Pictus will eat it. As a rule they will ignore most top dwelling live food as they don’t like to venture away from the bottom of the tank. Finally, it should be repeated that they have a large appetite. You should ensure you keep them full to prevent aggressive behavior to smaller fish in the tank. In addition, because they produce a lot of waste, you should ensure you do at least bi-weekly water changes (25%). Firstly, they will eat much smaller fish if they get hungry. If you read the diet section above you will know this happens a lot. So make sure not to keep them with fish small enough to fit inside their mouth. Second, Pictus are known for being a very active fish; they are fast and energetic swimmers. For this reason you should avoid adding slow swimming fish (such as cichlids) into your tank as the Pictus can irritate them and cause damage to them with their sharp barbels. Third, they are occasionally sold as bottom dweller community fish, this is wrong.If your community tank is full of popular community fish like, guppies and neons then avoid this fish. Fourth, as a general rule you should make sure that the Pictus is the smallest fish in your tank. Ultimately it is a peaceful fish but it is still a predatory species. If you keep in mind these points, you will have no problems when introducing other fish species into your tank. 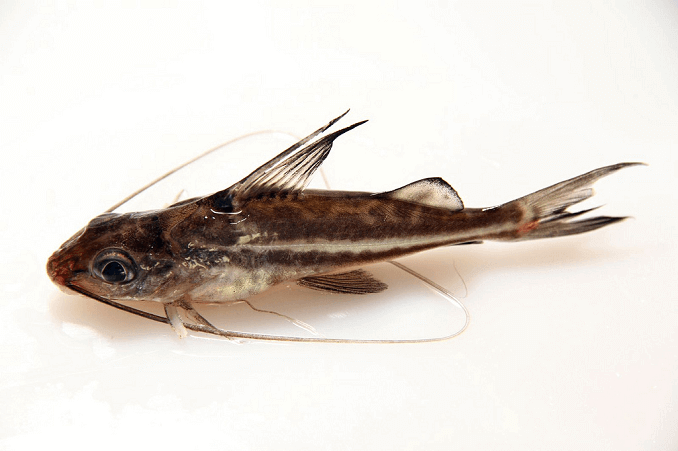 It isn’t uncommon for people to keep Pictus Catfish as a single specimen; they will survive on their own with no problem. However most people who keep them, do so in a shoal, as they are a shoaling species by nature. The advantage of keeping a shoal is they are much more active and will be more outgoing. They do well in a group of 3-4 but in general you can keep up to 6 at once; just make sure your aquarium is large enough. We would recommend a tank of at least 150 gallons when keeping a shoal. Similarly to other freshwater fish we’ve discussed, the Pictus Catfish is also exceptionally difficult to breed in a home aquarium. The reason for this is because typical home aquariums aren’t big enough for them to reach sexual maturity; in order to reach sexual maturity they need lots of space. Ideally you should be aiming for a tank at least 200 gallons, anything less than this and the chance your Catfish reaches sexual maturity is slim to nil. 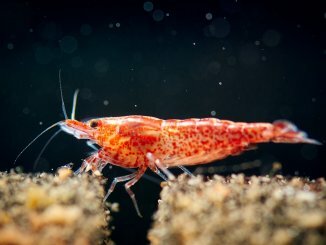 From our research we couldn’t find any examples of people breeding them in home aquariums; in fact only a handful of people have reported certain breeding behaviors let alone actual breeding. Not much is known in general about the breeding characteristics of Pictus Catfish. In the wild Pictus are egg laying, which means that first the female lays eggs and then the male will fertilize them. 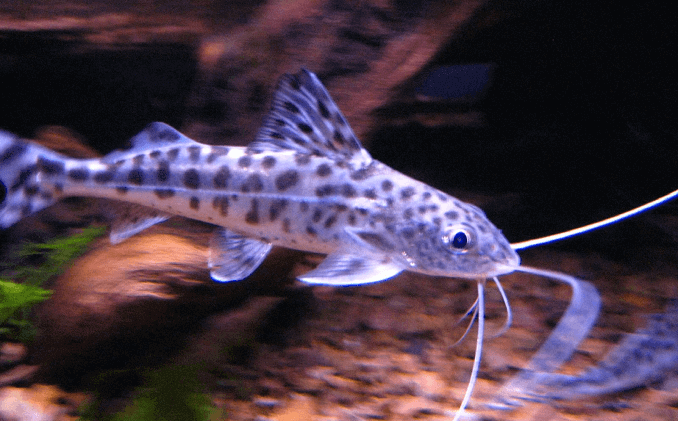 After reading our complete guide to the Pictus Catfish I hope you can now decide if it’s the right fish to add to your Aquarium. It is a fantastic fish that would make a great addition to most aquariums. Just make sure you can provide the space requirements needed to keep them healthy. Whilst some people claim Pictus Catfish aren’t beginner friendly we would disagree and with the correct planning and care, even beginners can successfully keep them. They have an energetic and entertaining personally and offer community traits that not many other catfish do. I just bought two Pictus Catfish and one albino pleco. I put them into a 28 gal aquarium. They are all about 2-2 1/2 inches and they are all to grow to about 4-5 inches. Will this work or is this tank not big enough? Second, if this isn’t going to work I have a 100 gal aquarium with turtles could they work in that tank? The 28 gallon is definitely not big enough for them, we recommend a 55 gallon tank for just a single Pictus. I also wouldn’t advise keeping your turtles and fish together. Turtles need cooler water than most topical fish, most turtle tanks need plenty of space to bask, and most people achieve this by making half their tank land-like – this is obviously not ideal for the Pictus. It’s a lot harder to create a vivarium setting than keeping them separately. Good luck with finding a solution. The most ideal solution is to buy a new 75 gallon tank for the Pictus. I’ve since upraded to a 55 gallon and my one pictus is will doing well and thriving. I have always fed him pellets (that sink) at night since he’s nocturnal. I’ve never seen him anywhere other than the bottom of the tank. He doesn’t bother any of the other community fish that occupy the middle and upper portions of the tank. I was told they would work fine with other fish in a 5 gal tank. ha! The pictus already killed all the other fish except the plecto. Now I have it in a 10 gallon tank because that is all I can afford and fit into my house. I don’t know what to do. I have a tall octagon tank. But its taller than wide and my pictures is swimming in the middle……is he ok? He seems confused or something. I’m worried he isnt eating foods off the bottom. I cant be watching all time as I sleep and work. Is he sick? Because I have another in the tank and he seems to be normal at the bottom. I have two pictus catfish, and since I have cleared the water with algae fix they have become more stressed, swimming around the tank very fast. Could this be a reaction to the algae fix or is it just that the water is clear now and they can see better? I love my pictus! I have had him for at least 6 years. I have him housed with several other types of catfish, a couple blood parrots, angelfish, two large leaf fish, a black gohstknife and albino dinosaur bichir. I may have forgotten someone… but they are all in a 125 and are doing great! I just got a Pictus Catfish. Will he do good with my Garimi Guppies, and Molly’s? I have two tanks, one that has about 55gal water 3 painted turtle boys and a large 6in pleco algae eater. The smaller is maybe 5 gal and is overcrowded. A 4in goldfish, a 2in goldfish, 2 small guppie type fish and a pictus catfish, who is about 3 inches. I want to put the pictus in with my turtles and the big pleco, is this a good idea? Temp is kept at 78°, constantly flowing water that runs through at least a 5 gal filter system. Turtles have floating basking platform, a huge driftwood log that the big pleco hangs out under and a little hidey spot tank. Is this ok? I have a pictus cat . so far he is doing well. just need more spaces to hide. he is in with a pair of jack dempsey,s. one time i had a pictus cat and he jumped out of the tank. i enjoy this fish very much. no problems yet. Nice to find an active feed on this subject. I bought a 55 gallon yesterday and plan to have it set up within the week, then give it another few weeks after setup, prior to fish (but, planing to purchase in the next few days and have them held). I realize you state in the article that I should only have one Pictus, but I was planning on three. Even though from your article this in not ideal, would you view this as exceptable? The fish setup I was planing is : 5 scissortail rasboras (3”), 5 cherry barbs (2”), 3 Pictus cats. I want some middle tank swimmer and would prefer 3”+,but most larger fish seem too aggrisive. What would you recommend (this build is centered around having catfish)? These guys are great, I’ve got 3 of them in a 45 gal tank and the refuse to sit still. I’ve had them for over a year and they all exceed 4 inches. I’ve also got them with a pleco and a 7 inch sun catfish(who sits in a log all day but is very active at night). I do have a question, should I get a power head for them because they like to swim so much?